A little over a year ago, while I was working at a local SW Washington computer repair shop, a customer brought in an HP DV series laptop with some serious and peculiar problems. This HP laptop would randomly loose and then regain ability to use its on-board wireless. It would sometimes not boot at all and would RANDOMLY crash and reboot while in use. Sometimes, it would just come on with a black screen and nothing else at all. I immediately sensed that there was a major problem, and after tearing it apart and inspecting it from head to toe, I went to my good old' Google web search. What I found was a surprise! HP had issued a recall on their DV and V series laptops; the NVIDIA chip set they had been using in 11 models of their laptops apparently didn't take too well to HP's motherboards. It turns out that the NVIDIA chips that were installed for video, wireless, etc were installed with low quality solder (the metallic substance used to bind electronics together) along with that issue; HP was using a "thinner-than-usual" circuit board. The two together have created a HUGE public relations and financial mess for themselves. To give HP some credit, at first they were handling the recall quite well. They extended many systems’s already expired two year warranty with an additional 1 year warranty so systems could be repaired. But saying you will do something and actually doing it are 2 separate things. A product recall is a request to return to the maker a batch or an entire production run of a product, usually due to the discovery of safety or product issues. The recall is an effort to limit liability for corporate negligence (which can cause costly legal penalties) and to improve or avoid damage to their public image. HP has never really publicly declared this recall to the public and information is VERY hard to find about the recall. To my knowledge HP has not been notifying any of the merchants that they stock, supply and sell to about this recall. Plus, they never stopped selling the defective units all together. So now, angry HP customers and users have created HPLies.com and are teaming up with other affected users to bring awareness to this "corporate denial" as well as compiling and publishing user’s experiences with receiving help from HP. 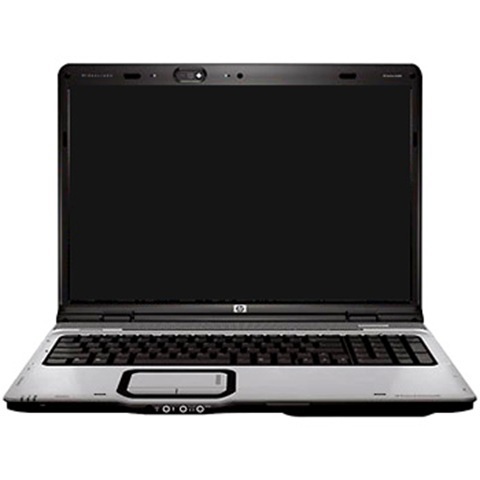 The site then provided methods on how to take action to get their defective HP laptops appropriately replaced or repaired. The web site is also drafting letters in an attempt to form routes of communication and to submit complaints to HP's President & CEO, Mark Hurd. My purpose in writing this blog is to help bring more awareness to what HP is and is not doing to deal with this "recall". My biggest frustrations are that HP has not publicized this recall enough. Many people have no idea that there is a recall and the ones who are affected, receive ridiculous support; if they are lucky to get that! They often get their customers frustrated enough that they simply buy another laptop or pay for HP to repair their defective system. Outrageous! Pacific NorthWest Computer's customer service is based on character, respect and responsibility. I expect nothing less from other businesses and corporations! If you think your laptop could be or is affected by this recall, give me a call today! I can help you every step of the way; including packing and shipping your laptop for you! HPLies.com - "Why Were Angry"
Thanks for sharing this blog. we are searching Motherboard Connector related information. This information is very informative for me..
Stay Warm & Stay Secure!